You may already have started planning your winter outdoor recreation trip and are looking for some cool deals to get off the couch and enjoying the great snow this winter. 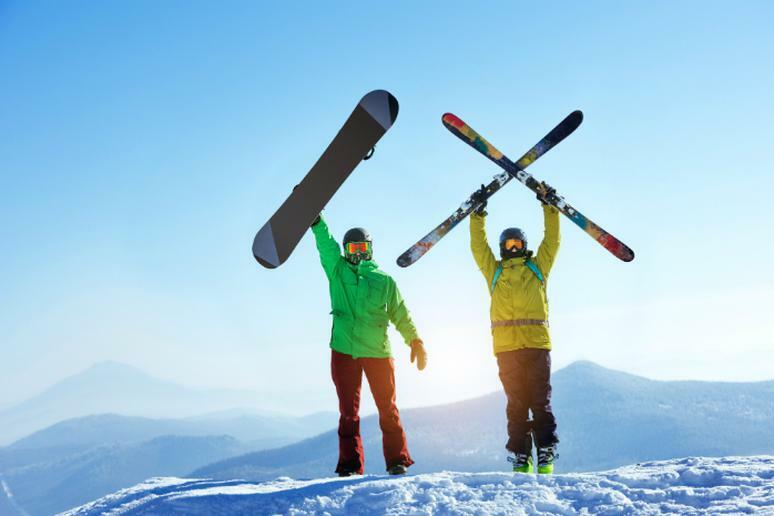 The Snow Sports Industry has unveiled some special deals and offers on beginner programs all across the country as part of January Learn to Ski and Snowboard Month. Whether you are a new skier or snowboarder or if you want to hone your skills, you don’t have to wait to break the bank. That is especially good news for newcomers who want to learn because resorts all over the country have deals on beginner programs. They typically offer more affordable prices on lift, lesson, and rental programs. For example, New Hampshire’s Ragged Mountain provides first timers with the Bebe Wood Program that includes three 2-hour lessons with lower mountain lift ticket, and Rossignol Rental Product – all free of charge. After the lesson, newcomers can keep practicing for the rest of the day for only $20. Vermont’s Mt Snow is one of several resorts offering a new step by step lesson product from Peak Resorts that is aimed at giving newcomers the opportunity to “Learn, Practice, & Explore” when you want, where you want, at any Peak Resort in the Northeast. Guests may choose which resort or resorts they complete their program at, opting to complete the program at the same property or mixing up resort locations. In Minnesota, Wild Mountain is offering a complimentary lesson for those who purchase a lift ticket and rentals. And New York’s Mt Peter is offering free Beginner Lesson every weekend and holiday, with the purchase of a lift ticket. Also in in the Empire State, Snow Ridge has a Buy One Learn to Ride, Get One Free offer. The cost is $35 and it includes one-hour lesson, rental equipment, and a Bunny Bowl lift ticket.